That's a different shifting mechanism. The one under your consul is ugly and flimsy and in great need of upgrade. I wish someone made a really nice one that wasn't ridiculously over designed. 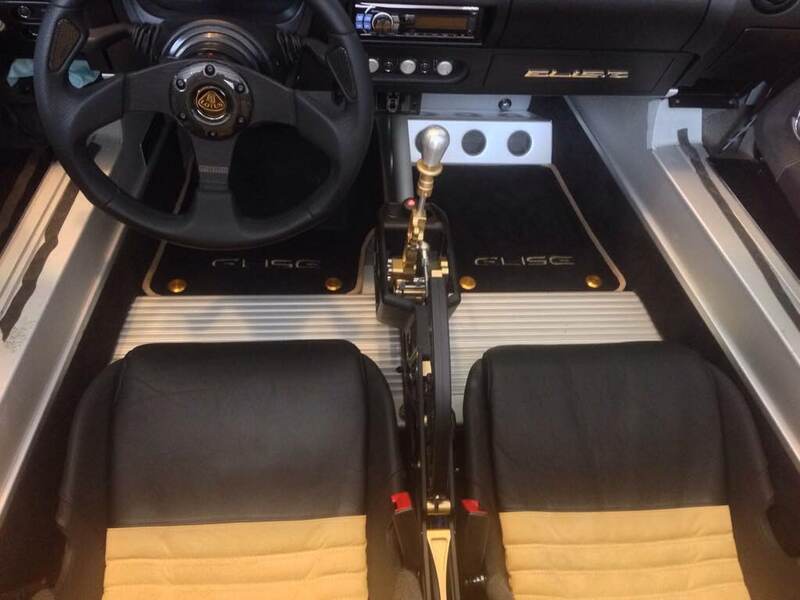 Has anyone else done something like this in their Elise/Exige? 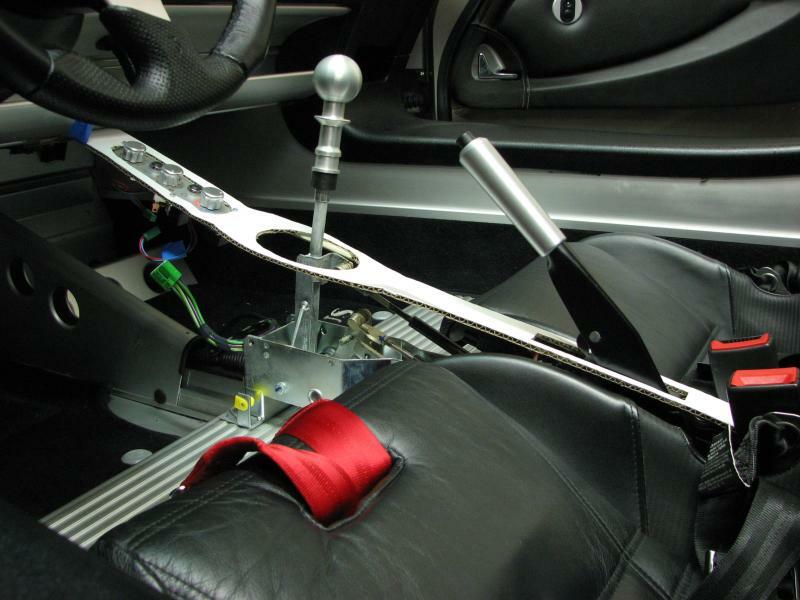 Guessing by "ridiculously over designed" this exact shifter was meant, and it comes with a fair price tag. I wish someone made a really nice one that wasn't ridiculously over designed. I thought I was the only one that thought this other shifter was over designed and just too much. I'm afraid $1000 and ridiculously designed isn't an attractive (or constructive) option for my Elise. Although the Alitech is definitely artful, I find it to be incredibly pretentious art and more suited to something like a Pagani Huayra. I too would like another choice. Sounds like you guys had sour grapes for lunch? Fact is, even if it were hidden under the center console it would still be a work of art because of what it does: makes the shifts precise, what more could you ask for, a Pagani?! I concur; I would like to know if the new 350 gear selector design is backwards compatible with our cars - not that i like the peek-a-boo look, but I do like the more robust bits. Sounds like you guys had sour grapes for lunch? My preference for function without pretentious flash is hardly sour grapes. You are welcome to your own preferences, but consider that not everyone envies your particular choices. A Lotus decked out in over-the-top carbon parts or jewelry like the Alitech shifter leaves me with the impression that someone is trying too hard to make the car into something it is not. exlondoner, me73 and Schreiberesq like this. Well, most products have a price point at which the mfgr hopes will move product. CF would have raised the price. Moreover, I am not one who thinks CF is very pretty. Wouldn't spend an extra $50 for that. Especially the covers that go over the part instead of replacing it. Don't know if this is a medium-term fad or not. Elise interior is just fine for the car as used and as designed. To me. But, make yourself as happy as possible. Good. Hey, I'm sure that I'm allowed to have an opinion. Sorry that I don't like the Alitech. I remember when I first got the Elise. I had a bruise on the inside of the back of my knee right where it made contact with the stock consul. Eventually, a callous developed and I haven't thought of it since. Looking at the Alitech makes me think I'd be in heap of pain. I mean, why does it have a cage around the shifter? In general, as an architect, I like things that are understated but well done and OE looking... like the shifter in the Sport 350.
exlondoner, Glen and me73 like this. Moreover, I am not one who thinks CF is very pretty. This. I bought a CF full mohawk roof for my Exige...first thing I did was get it painted body color. Maybe Lotus was so proud that they fixed that floppy piece of shortcutting they called a shifter mechanism that they wanted to show it off. I like the tartan! But then I wear traditional kilts too. 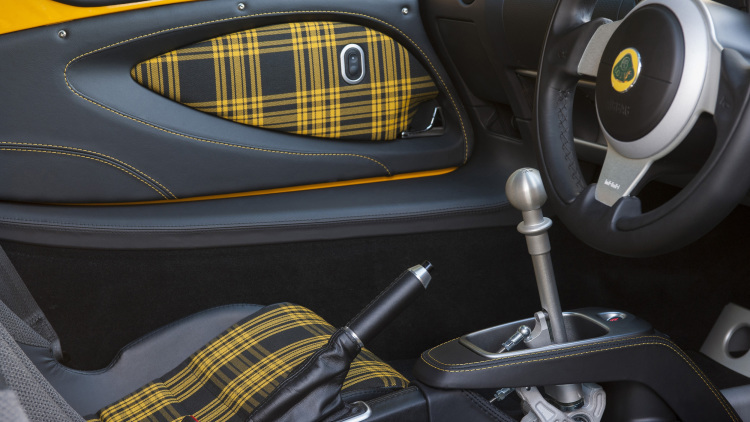 Getting in and out of the Elise while wearing a kilt . . . there's an unusual skill I can claim. We should have the new parts manuals in a few weeks and should be able to order the revised shifting mechanism and the new console by Q2 2016.